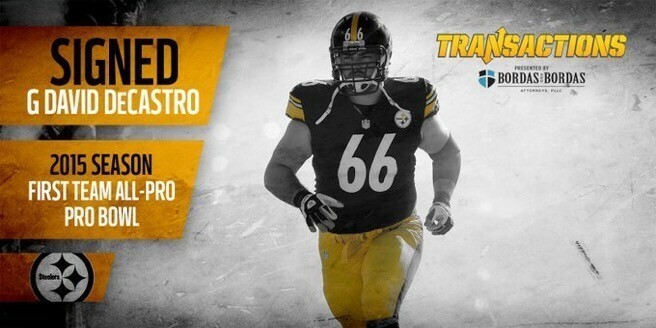 Steelers have signed Pro Bowl guard David DeCastro to a six year deal. Pro Bowl guard David DeCastro is the fourth member of the offensive line to get a new contract, agreeing Thursday to a six-year, $58 million extension with a $16 million signing and roster bonus that will keep him with the Steelers through the 2021 season, according to the Post Gazette. This is monster news for the Steelers.